Whilst giant, animated, light-up Santas and reindeers may not be to everyone’s taste, there’s no doubt that some twinkling string lights look classic and really add a Christmas feel to your home. 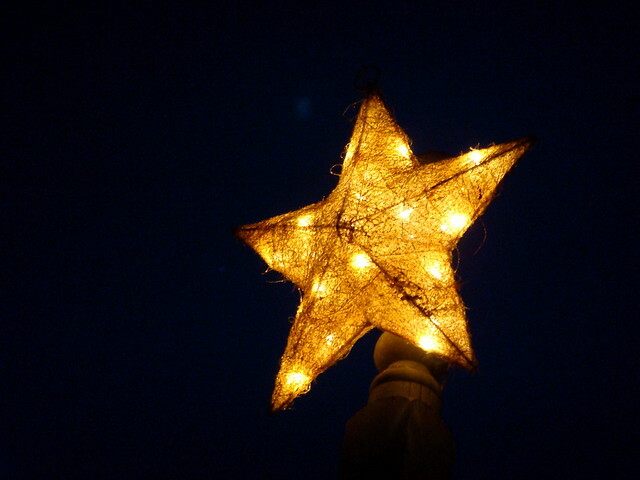 Now, many people think that putting up string lights is as easy as 1, 2, 3. These people are often the types that dangle indoor extension leads out of their front room window, and end up shorting their house when it rains. However, there are a few simple tips and tricks for installing Christmas light displays that don’t involve you spending Christmas Eve in darkness. Here’s the clever DIYer’s guide to a stunning Christmas light display. This should be something you’re doing regularly over the autumn/winter period anyway, but it’s especially important to clean you gutters out if you’re planning to dress your home in lights. Though outdoor lights are weatherproof, when it inevitably rains all December it won’t do them any good to be drenched in a constant downpour of water. Weatherproof does not equal waterproof. If you have lights that you’ve owned for a fair few years, it may be time to chuck them and start again. Make sure to check all of your lights, all of the way along the length for any fraying or exposed wiring – if you find any, don’t attempt a repair, just get rid of them. It’s not worth the risk of fire. If you’re buying new lights, go for LED ones as they’re both brighter and use less energy than traditional string lights. Not many homes in the UK have outdoor sockets, but if you do regularly have outdoor lights or use outdoor electrical appliances it may be worth getting one installed. It’s not cheap to have it done professionally, but it is possible to DIY it if you have a good knowledge of electrics. If you decide against this, the best route forward is to purchase a heavy duty weatherproof garden lead. Look for a long lead, at least 15 metres, and see if you can get one with spaced sockets so you can keep all your wiring tidy. Unfortunately, you will need to run this lead out of a window which can lead to rain and frost getting in! Plug the lead into the outlet near the window, use cable clips to secure along the bottom of the wall and then up and around the window to avoid anyone tripping or the wire being wrenched out when someone’s chair leg catches on it. Feed the wire out of the window, secure with more cable clips or heavy duty tape, and you’re ready to start your decorating. Whilst you’re putting up your lights, make sure you have someone else feeding you the lights, and you don’t turn them on until they’re up (bar your initial check to make sure they’re still working). If you’re going to be getting up a ladder, make sure someone is there holding it for you – and I’d never recommend walking on a rooftop when it’s icy! Do you have any more tips on how to put up your outdoor Christmas lights? Estelle Page is an interior designer who loves craft and DIY.